Is this speculation based on anything aside from reading blogs? I mean, it seems right but it could seem right because it’s conventional wisdom rather than seeming right because it’s right. Conventional wisdom. Lacking some other evidence or logic, conventional wisdom seems like a reasonable place to start. 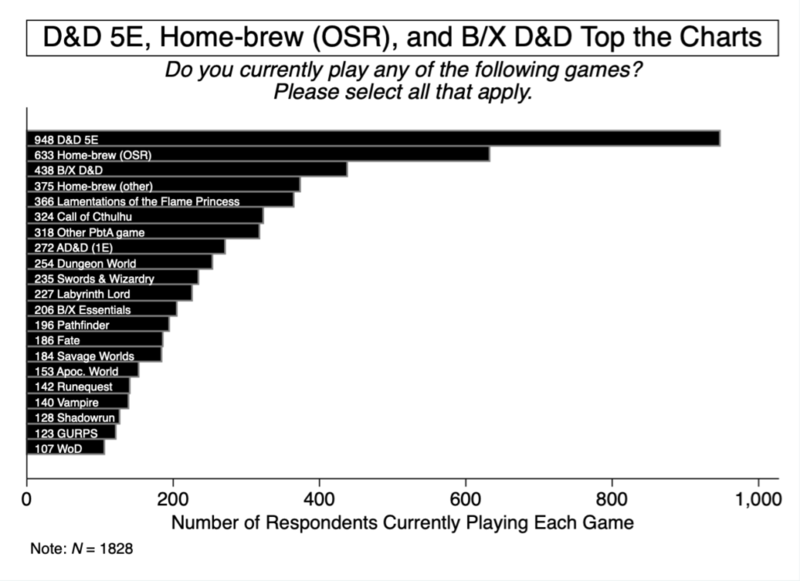 Unambiguously, respondents reported D&D 5E was much less OSR compared to other games. Do you have any other ideas about why this might be? Maybe many people share my view that 5th Ed. 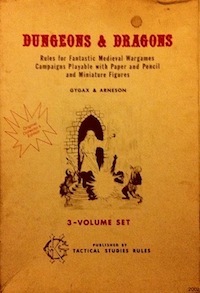 is a game suited for “oldschool play”, but really is not part of the “OSR scene”. I agree that 5th Edition is “not an OSR game”, but I also think it’s a good match for applying oldschool principles as a GM. 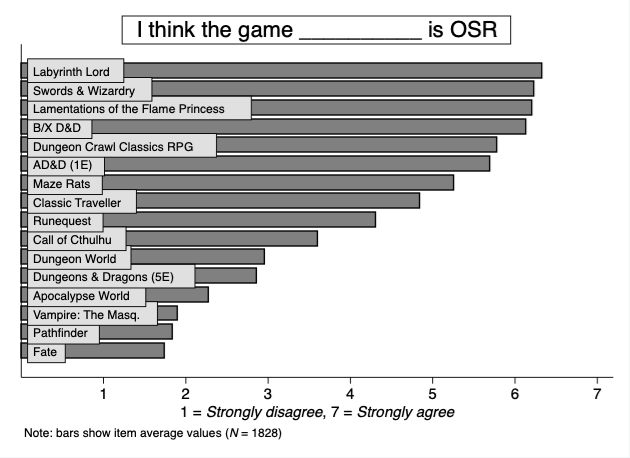 Yeah, I suspect folks made a distinction between whether 5e “is” an OSR game as-is and whether it can be made to play in an OSR fashion. Or to put it another way – the circle of games that *can* be (and often are) played/run in an OSR way is much larger than the circle of games that is explicitly *designed* to be played/run in an OSR way. One might understandably only call games in the latter circle “OSR games” while still playing lots of games in the former circle. Through play-by-post sites like RPOL.net and forum games, it’s possible to be in quite a few games simultaneously. So some of those people claiming to play 10+ systems at the same time may not be anomolies. No way to prove whether those are errors or outliers, but it is possible. I’m in 9 games on RPOL but with system overlaps (two Classic D&D, two AD&D1E, two Star Frontiers, and three 5E). I agree. Though, I think you would show up as playing 3-4 different games in the data if you had responded consistent with this comment, as the item asks yes/no by system, and there was no option for Star Frontiers. 3-4 is pretty far from 10 (or 18). But yes, those high numbers are possible. For the currently playing graph I would be interested in seeing how many system people pick and whether there any correlations between choices. My opinion is that hobbyists rarely just use one system. For example they may mostly play D&D 5th edition but occasionally will play Classic Traveller. You can see the tetrachoric correlation matrix here. In the heatmap color coding, tint represents magnitude of correlation, hue represents significance level, and warm/cool represents positive/negative relationship. Variables are binary: 1 = playing, 0 = not playing. Let me know if any of the variable names are unclear.